Do you understand your cause in life? Do you follow your destiny? Do you feel like you have purpose and meaning in life? 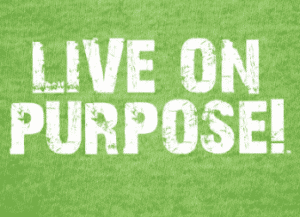 Living purposefully is one of the most effortless but enjoyable experiences which you can enjoy in life. When you are living purposefully life just flows. Like flowing water, you effortlessly adapt to any obstacle which is placed in your path. You carve out your own path for life as you pass peacefully through. The following are 16 signs that you are living purposefully.